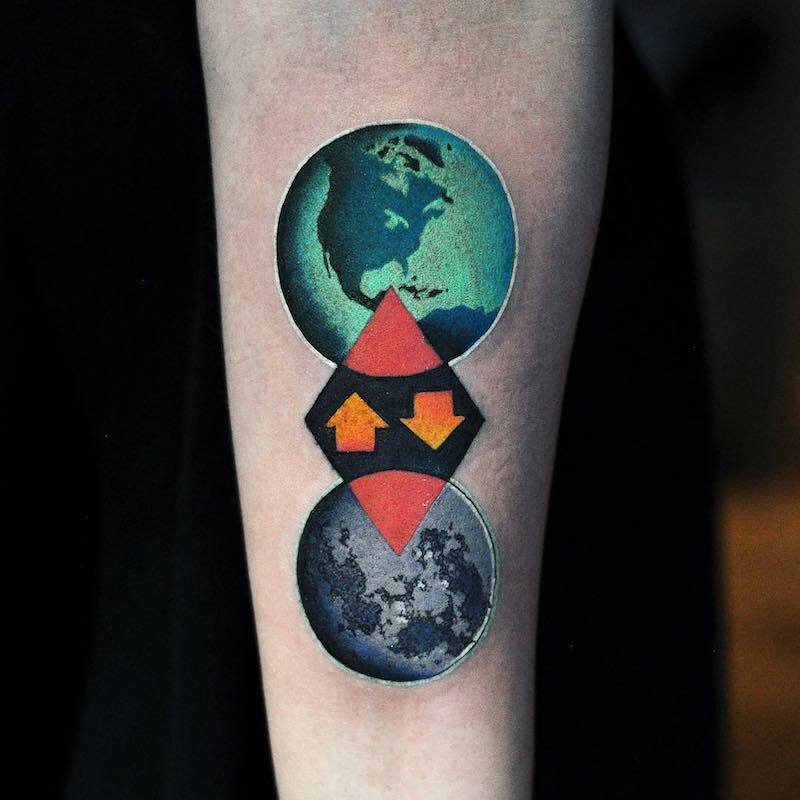 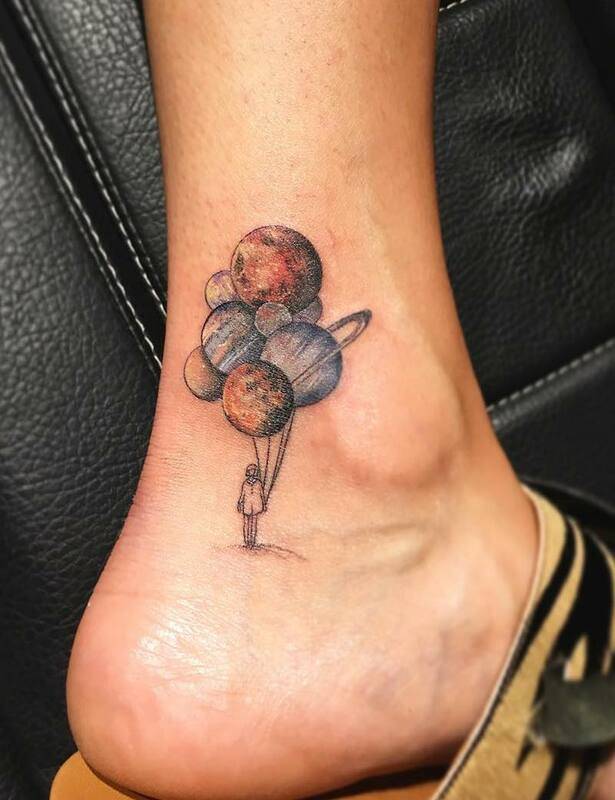 A Planet tattoo is a great way to show your love of space, astronomy, exploration, or for the stranger than fiction other worlds out there. 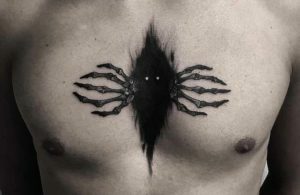 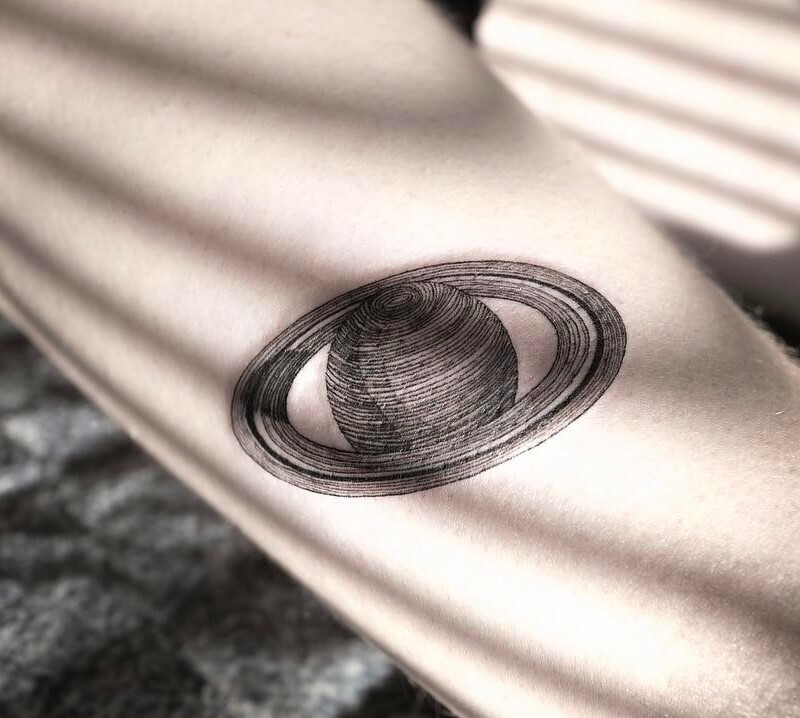 If you’re wanting to get a simple planet tattoo, then a popular choice is Saturn. 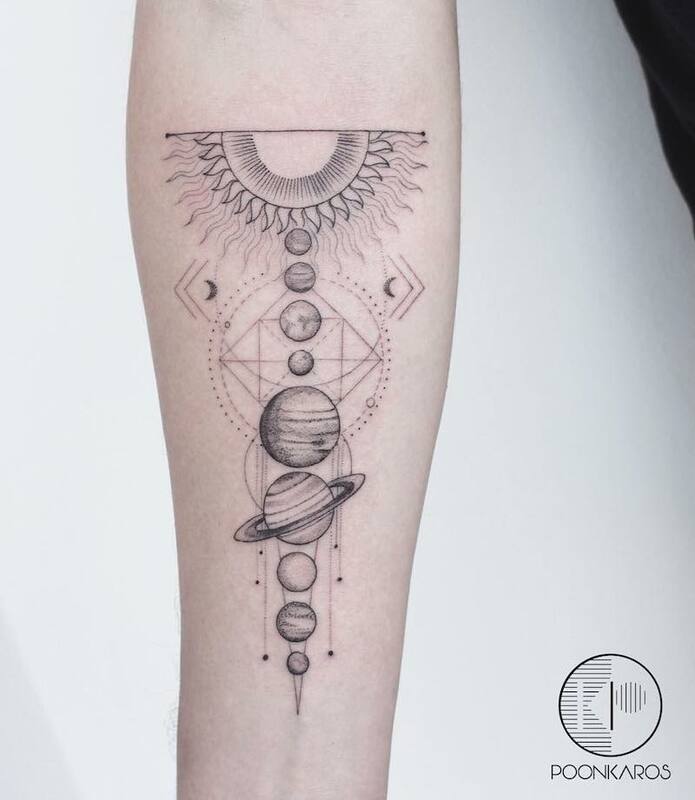 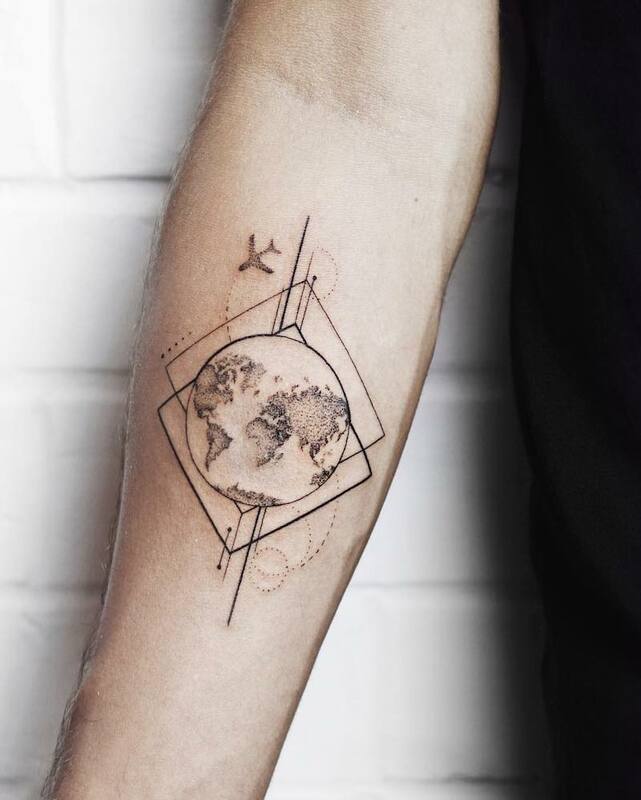 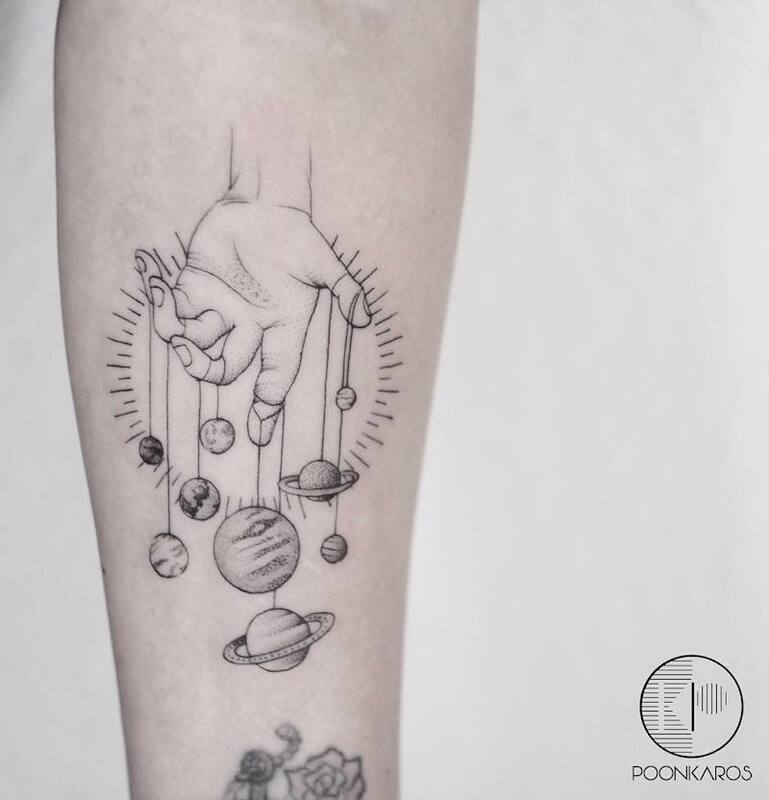 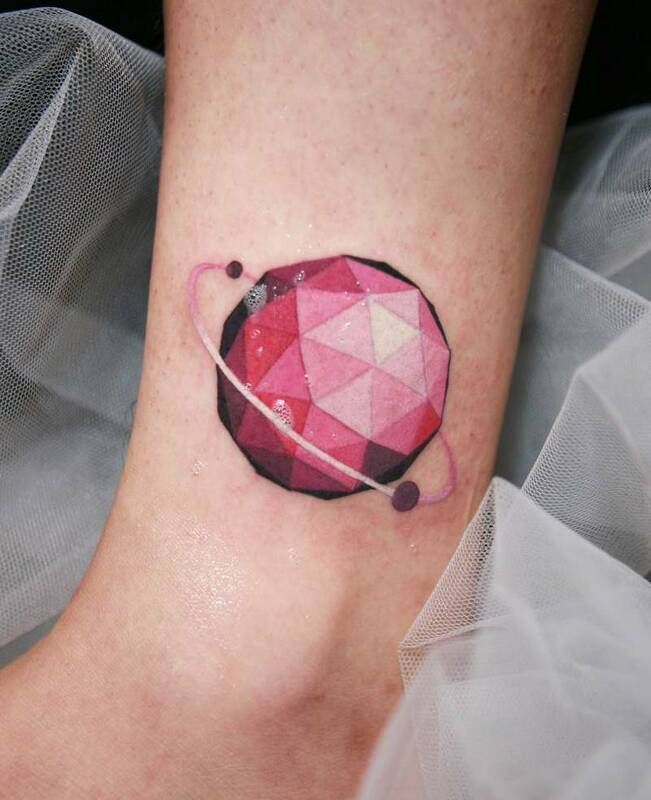 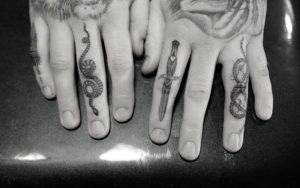 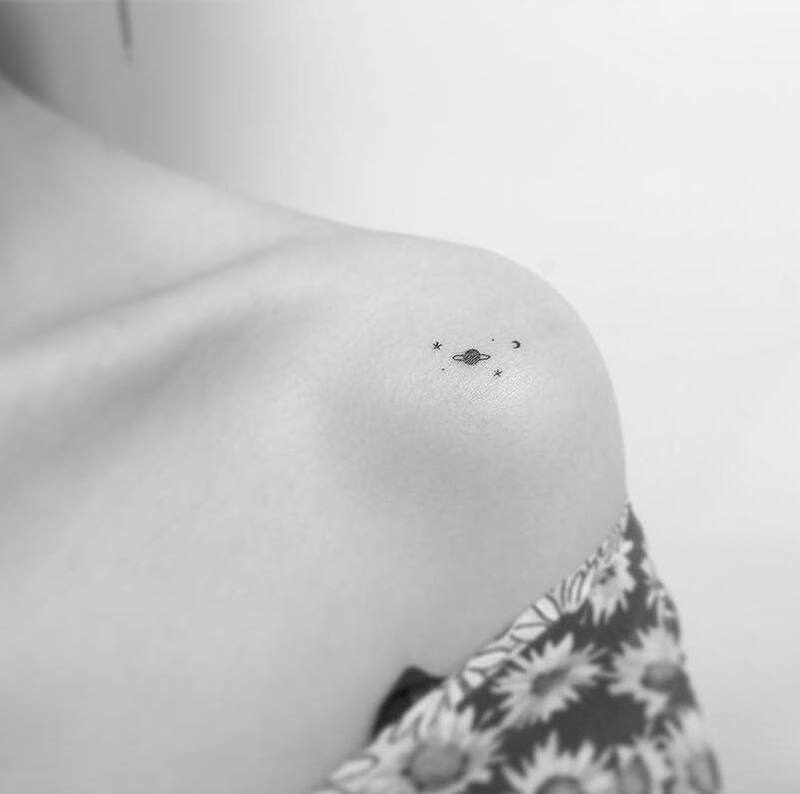 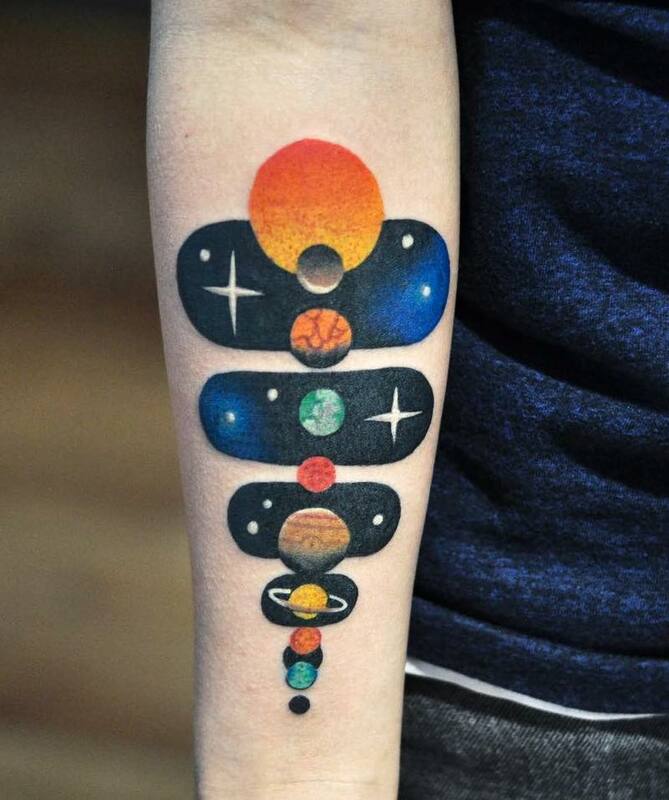 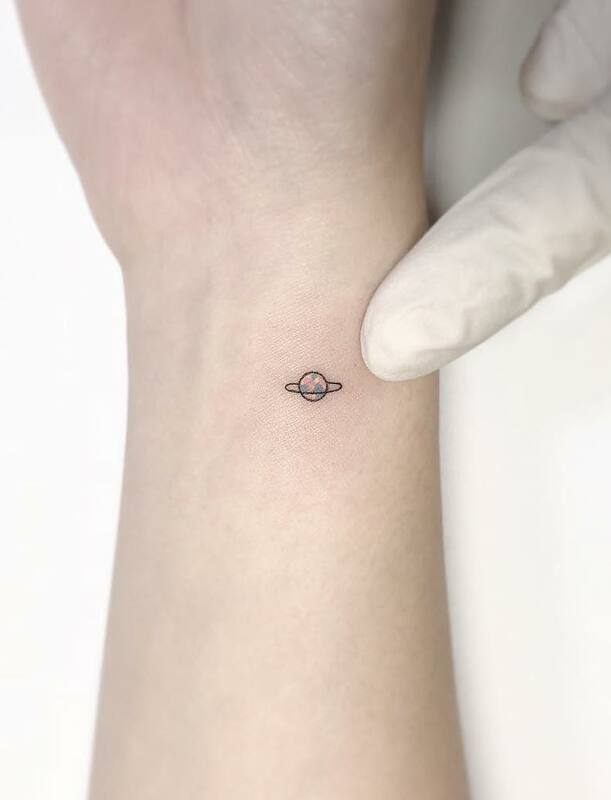 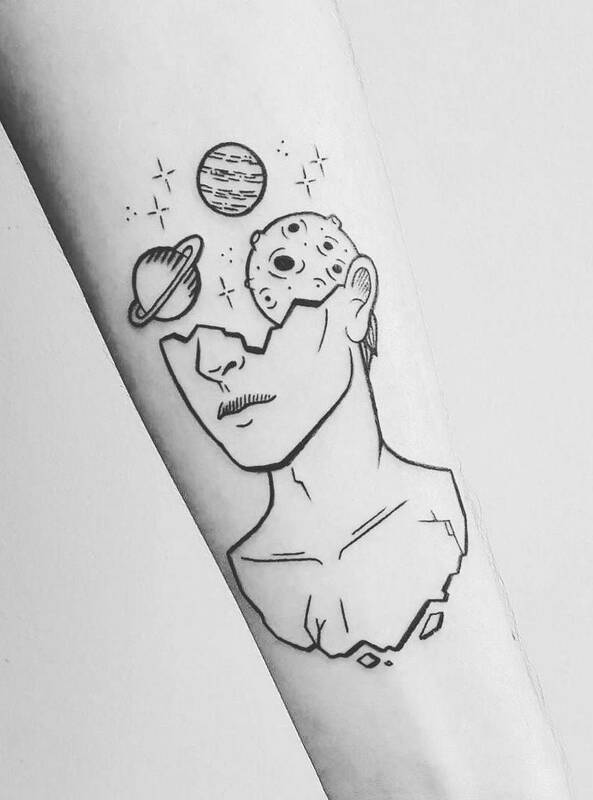 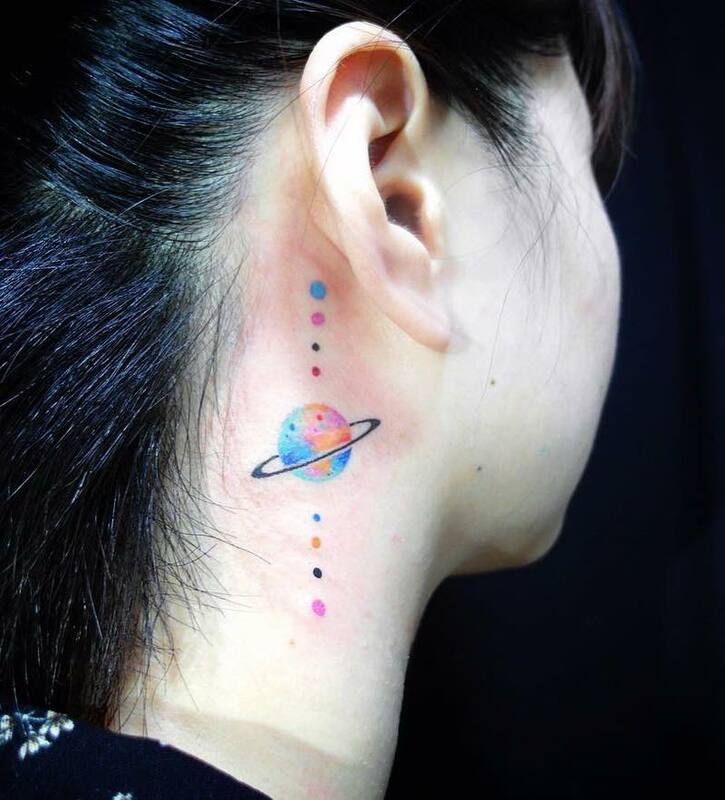 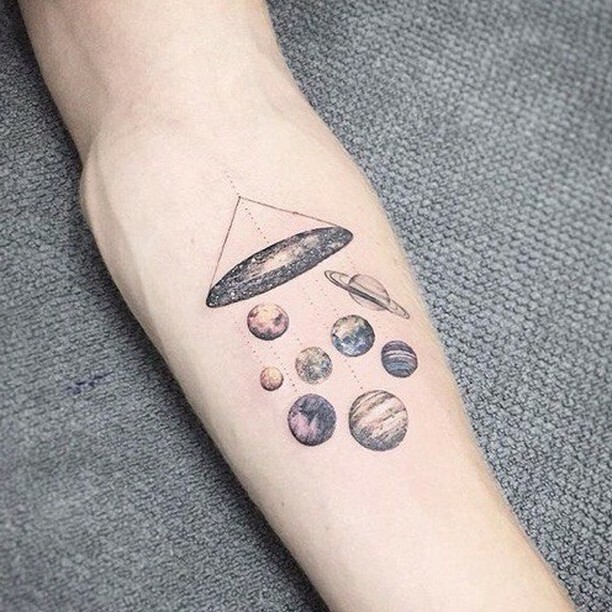 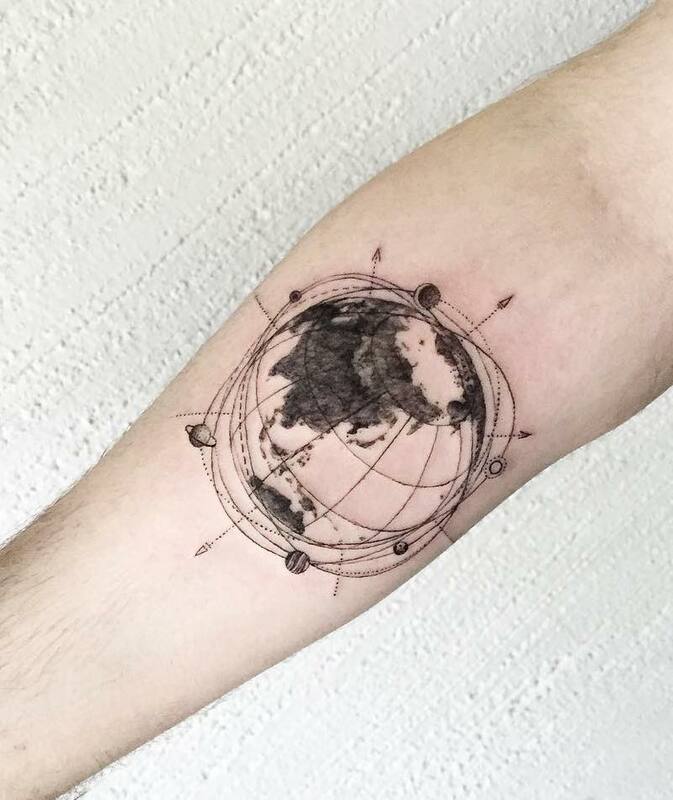 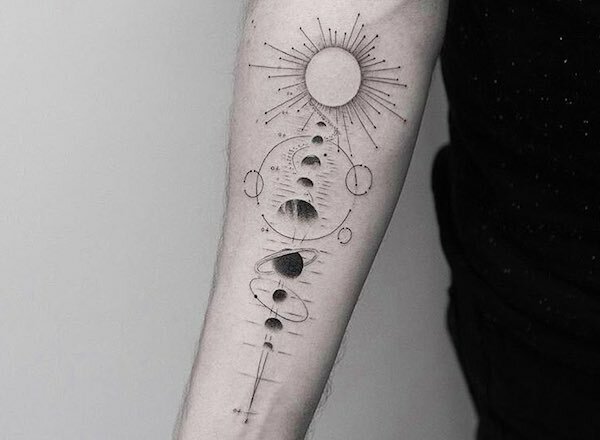 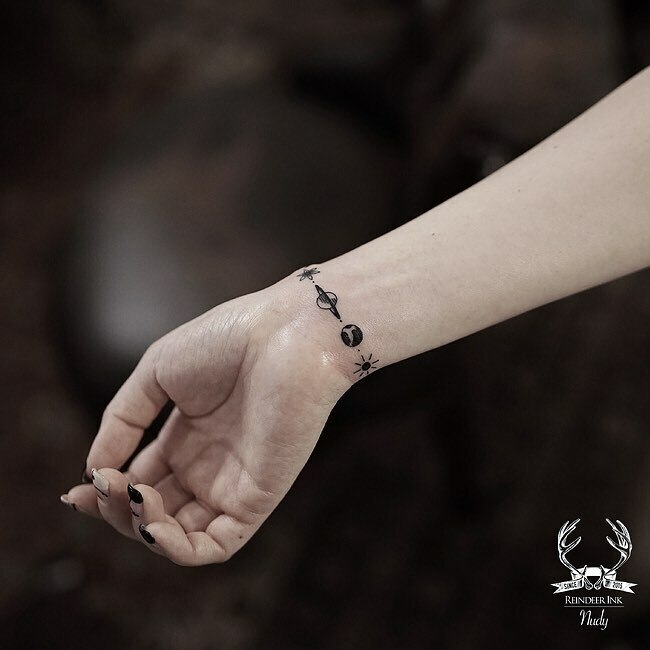 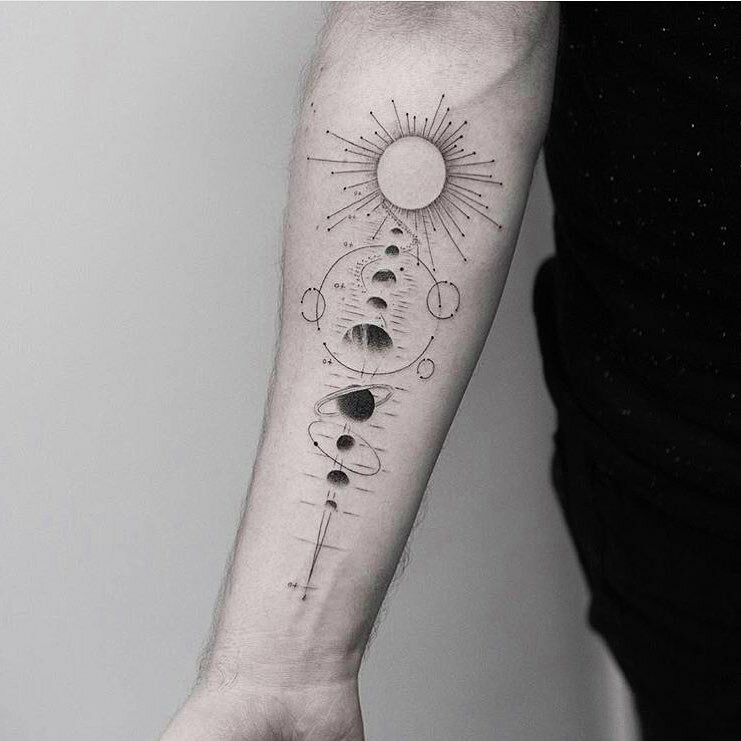 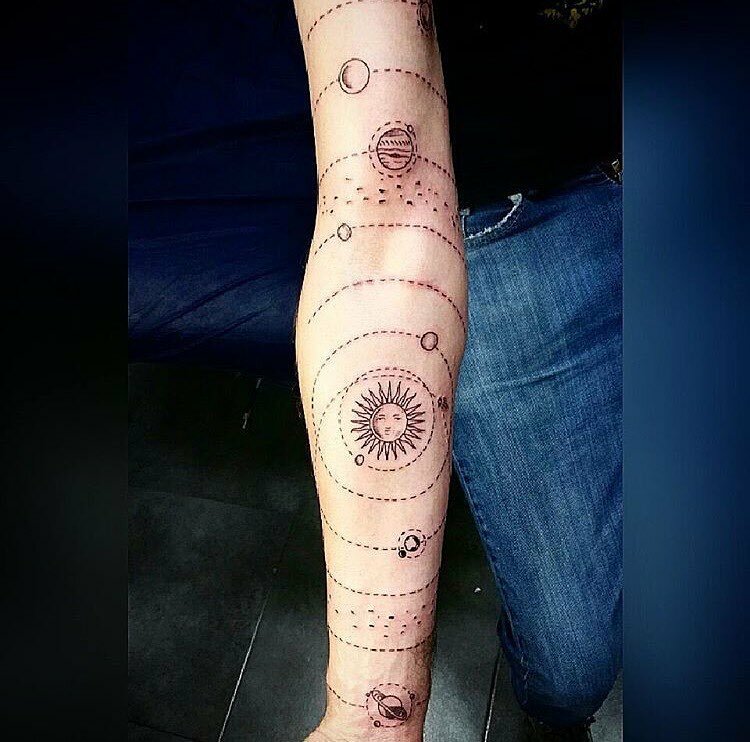 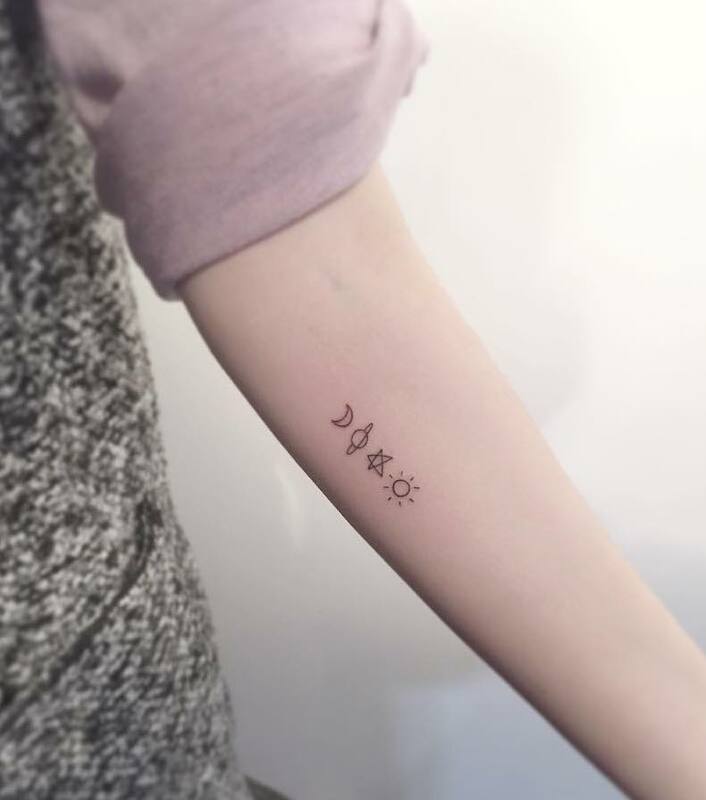 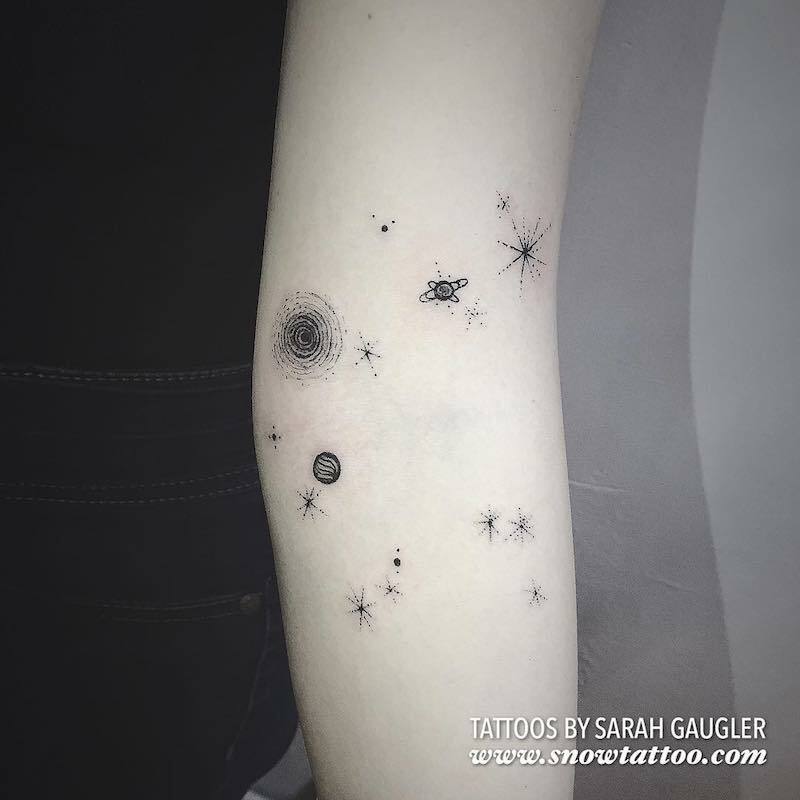 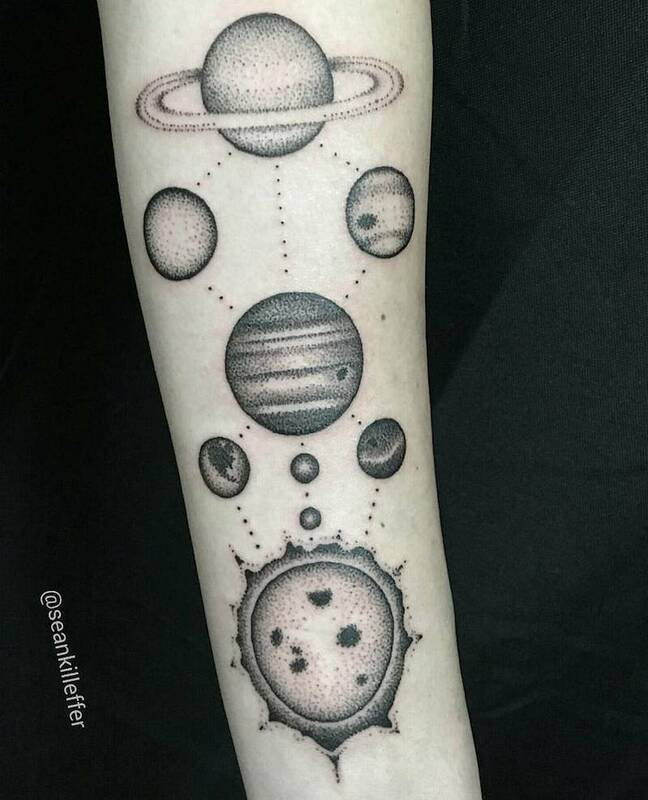 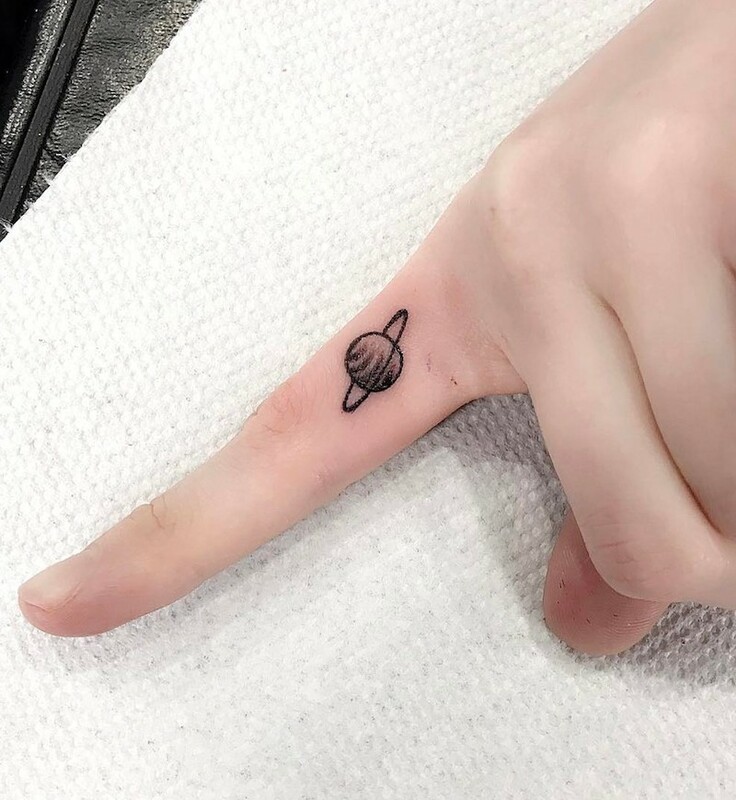 It looks great with detail and, in a small minimalistic style, Saturn’s rings make it instantly recognizable whereas simple planet tattoos can just look like circles. 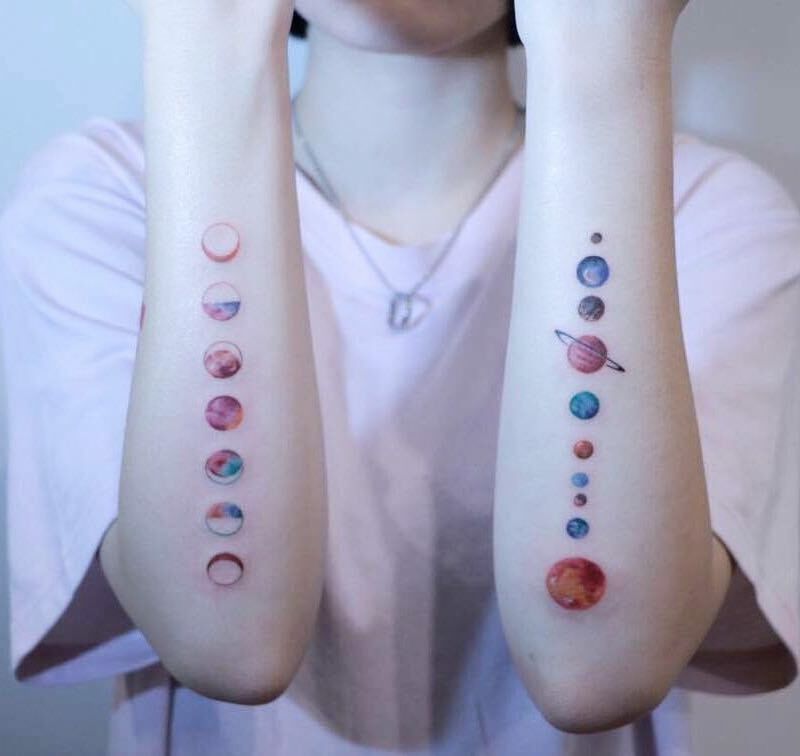 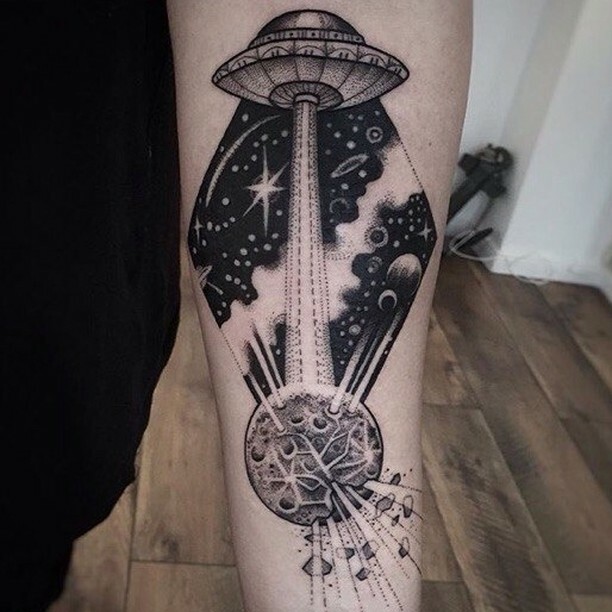 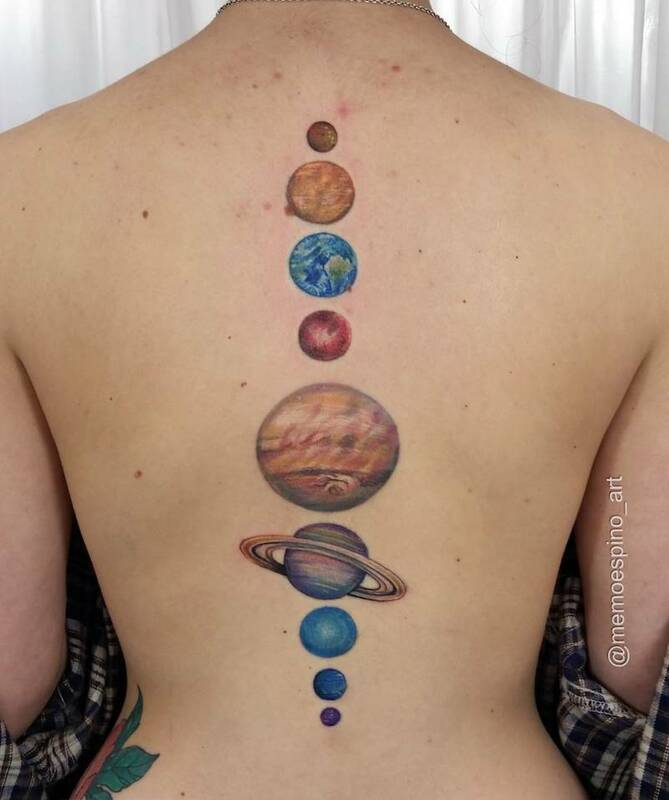 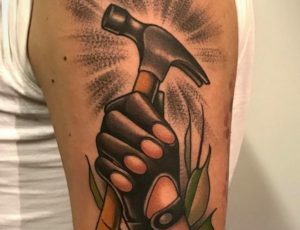 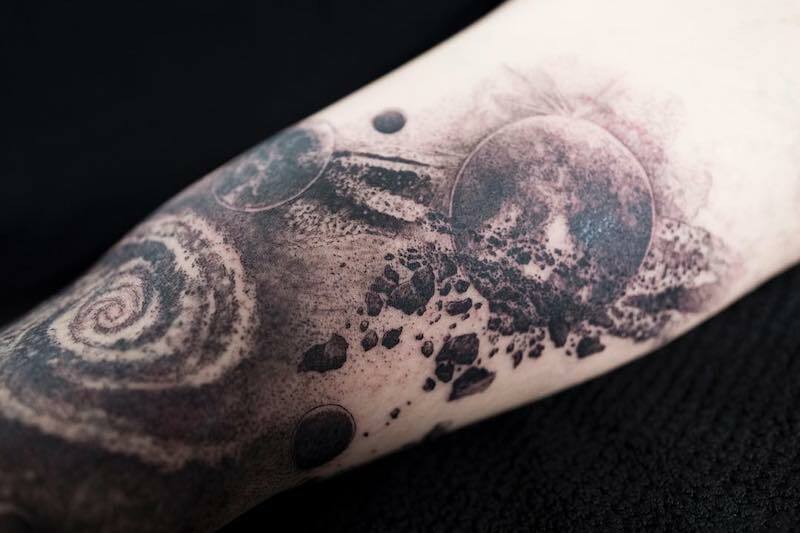 If you’re looking to get a specific planet tattoo then you might want to think about getting some color or detail added to distinguish it from other planets or even the Moon. 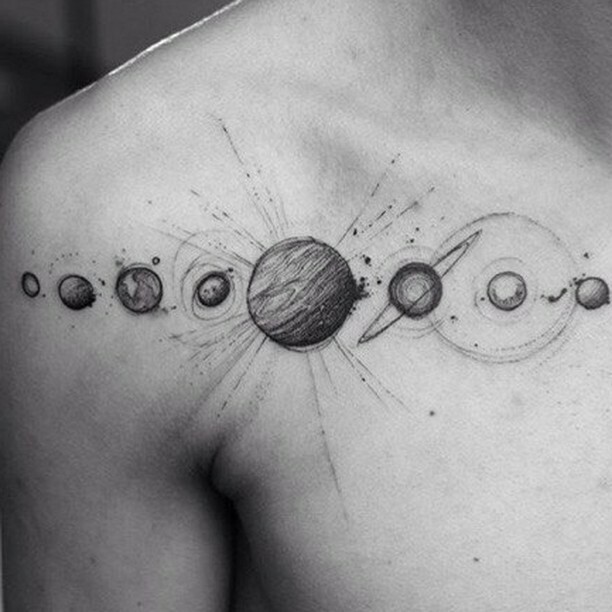 For example, the planet Mercury looks almost identical to our moon and might need detail to make it stand out.